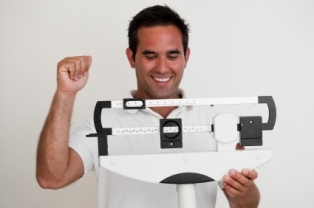 If you're obese, even a little weight loss pays big heart health dividends. It’s one thing to hear about something, but it’s quite another to know it. For instance, I’m sure all of you have heard that obesity is a significant risk factor for developing heart disease – the world’s leading killer. But how many of you have actually seen this on display? Where someone who had all the symptoms of heart disease freed themselves of those symptoms after losing just a moderate amount of weight? Well, a study out of the Washington University School of Medicine demonstrates that very thing. The researchers recruited approximately 60 individuals to participate in a weight loss experiment. The program would take two years to complete, and they could choose from one of two diets to follow over that two-year period. Their weapons of choice? Either a low-carb diet or a low-fat diet. Impressively, 78 percent of the participants stuck with their pre-selected diet throughout the two-year trial. The researchers from St. Louis, MO instructed each participant to consume a low-calorie diet (between 1,200 and 1,500 calories per day, depending upon how obese they were) and to get at least three and a half hours per week of aerobic activity. Their oldest participant was 64, youngest 22, and the participants’ BMI Index ranged between 30 and 44. Anything over 30 is considered obese. Fast-forward two years and both groups lost an average of 22 pounds. Now, for people moderately overweight, this is a significant drop. But for the obese and morbidly obese—which adequately describes most of the participants in the study—22 pounds is like scooping a bucket of water out of the ocean. Nevertheless, researchers found significant improvements to their heart health. For instance, the physical structure of the heart takes on a different form in obese people. The heart hardens and the arteries thicken because it has to work so much harder. But according to the study’s lead researcher, Lisa de las Fuentes, this 22 pound weight drop “turned back the clock,” allowing them to “regain more youthful heart function” as the heart smoothened, and the arteries became more elastic. And with the rate of childhood obesity three times higher today than what it was 20 years ago, this is a lesson that we need to have down-cold if we want to be examples to our children on how to live healthfully. If we don’t, then they’re certain to have a similar fate.